Do you measure client satisfaction? We hope the answer is yes. Data shows businesses that measure client satisfaction are more successful overall than business that don’t. According to findings recently published in the Harvard Business Review, the simple act of asking a customer for his or her feedback not only has a positive impact on customer satisfaction, it also makes that customer more loyal and profitable over time. Of course, asking your clients for their feedback is only the first step. How you track that information, and what you ultimately do with it, is equally as important. For now though, we’ll focus on how to get it. You know you need to measure client satisfaction, but what’s a scalable way to do so? And once you have the feedback, what do you do with it? 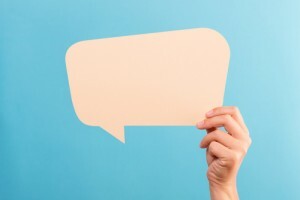 The easiest and most popular way to gather feedback is via a survey. A resource like Survey Monkey, for example, is free (for the basics), and simple in terms of setup and implementation. But all you need, really, is a functional system that you can customize with different questions and ratings. Start Small: Ask only one, maybe two, general question about overall satisfaction. Use Easy Ratings: Provide a simple scale with a limited amount of choices. If it’s a numbered scale, be sure to specify whether the higher number is positive or negative. Ask Immediately: While sending a survey later via email is one option, asking right at the end of the service means that you’ll reach your client while his or her attention is focused on you already -- while the experience is fresh. Implementing a method for gathering client satisfaction feedback is an easy and highly effective way to engage your clients. And when you engage your clients, they feel valued -- which in turn is valuable for you.